Congratulations Ottawa Art Gallery (OAG), Arts Court and all of Ottawa! The City today approved the $34 million expansion of the OAG & redevelopment of Arts Court. The Redevelopment & Expansion was passed unanimously in Council the morning of Nov 13th! In an overdue but profound recognition of the importance of art and architecture in the Capital, public and private funding was allocated to see this remarkable space – home to diverse artists and that provides a wealth of opportunities for visiting artists – grow. 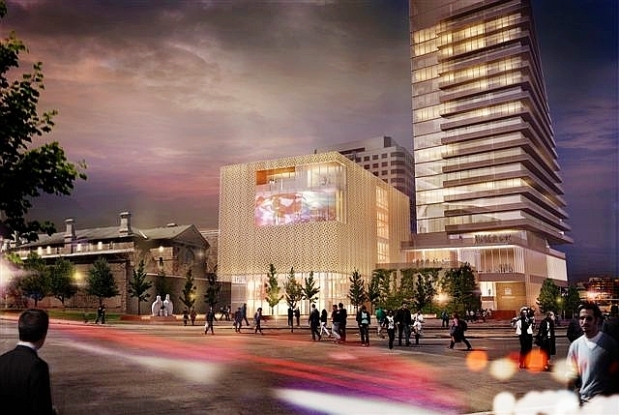 One of the City’s most dynamic art centres we can’t wait for redevelopment to begin! Again we hope that this redevelopment incorporates bike lanes and pedestrian improvements to the surrounding area improving this section of downtown with walkways, cafes, benches and greenery where possible. Remember architecture is about people and places not just buildings!